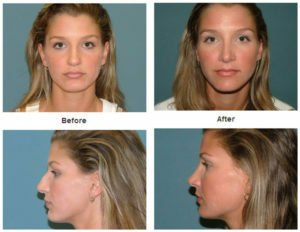 Nose Surgery or Rhinoplasty, is a surgery in which physical features can be corrected along with medical problems, such as difficulty breathing. Nose surgery is the most popular cosmetic procedure performed in America pulling in a whopping 400,000 operations each year. Nose surgery is a simple procedure that starts with removing tissue inside the nasal cavity. The surgery used to only be performed for patients who had problems but now is also used for cosmetic purposes. If Rhinoplasty is being performed to correct a breathing problem or nose deformity, the procedure may be covered under the patients insurance policy. You have realistic expectations. It is very helpful to look at Before and Afterpictures to assist you with you expectations and your decision process. Lasting for up to three hours, this surgery is performed with local or general anesthesia. The surgery starts with incisions that open the cavity for the surgeon to examine. The bone and cartilage inside are reshaped when the nose is opened and the cavity is large enough. There are two types of methods when performing a nose surgery. 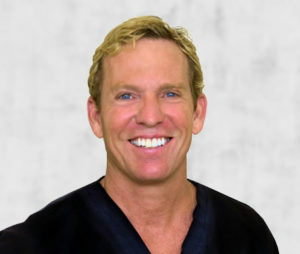 The first is a technique is the open method in which incisions are made from the outside of the nose, which allows the doctor to get a full view of the cartilage and bone. The second technique is the closed method, in which the incisions are made on the inside of the nose to prevent scarring. During the doctor patient consultation, the method for surgery can be chosen while viewing the maximum results and goals of the patient. Typically, a nose surgery procedure takes two to three hours to perform. Patient will recover for about a half-hour after the procedure, and then may go home. After having a nose surgery, the patient needs to stay home and get a lot of rest. You are instructed to move as little as possible. A splint, bandages, and/or gauze are applied immediately following surgery to aid in the healing process and to minimize movement of the nose. Patients cannot smoke for several weeks prior to and after surgery. The nose will need to be well-protected from the sun for the first year after the procedure while the body is adjusting from the surgery. Over the counter pain relievers can subdue any minor aches and pains the patient may be complaining of. After the procedure, patients should follow the directions of the doctor to avoid any post-operation problems. Our caring and highly trained staff is here to help from your initial consultation through your recovery. The doctors are just a phone call away 24-7 for you after any surgical procedure.